This was written in 2013 before the Keith Road Bridge was replaced and before any towers were built. (An update post should happen, one of these days. Until then,) Perhaps this can be seen as a review at how development can happen in an area like Lower Lynn Valley. 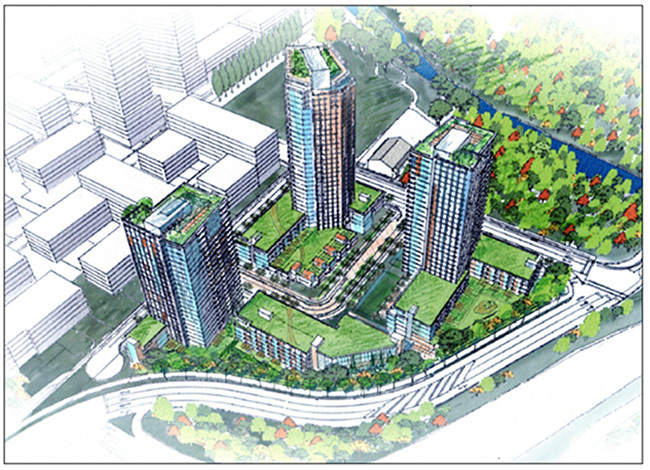 The Seylynn development in North Vancouver District is a site currently under construction near the intersection of Mountain Highway and Fern Street, close to the Second Narrows Bridge. With Highway 1 beside it and a large amount of traffic heading towards the bridge and into Vancouver, the neighbourhood is seen as an undesirable place to live, yet developers are spending millions to encourage people to move there. “[Seylynn] was a place that no one really wanted to build big new beautiful homes, it is sandwiched by the industrial area and the Native band on the east and the industrial area on the west,” said David McLeod, a local resident and business owner who moved into the Lower Lynn area of North Vancouver almost 15 years ago and continues to reside in the District today. McLeod, a former resident in Seylynn, sold his property to the original developer of the site and was an initial force in the change of the neighbourhood. “We began this process in 2002 when we applied to the District to have it rezoned [to higher density],” said McLeod. “The residents in the area didn’t have the resources to make the change that needed to happen. Only a developer with bigger pocket-money could do that,” he said. The project by Seylynn Properties includes three towers, with the tallest being a massive 32 storeys, making it the tallest building on the North Shore once it’s built. The other two high-rises of 24 and 28 storeys also dominate the artist renderings of the skyline. Currently the showroom for the project is being constructed, with the framing for the first tower due to be laid shortly. “When I purchased, Fern Street was a quiet street with street parking. There was a fair bit of traffic, but not like it was before we sold,” said McLeod. Much of the controversy around the Seylynn Development rests in the road changes. With the new development in place, the highway on-ramp that is currently running down Fern Street will be moved over the site to run alongside the highway, causing construction chaos for commuters. 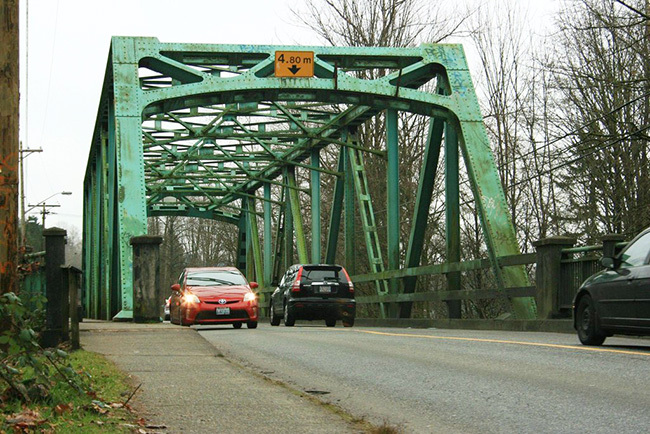 “Over the time period I was there, the resurfacing of the Second Narrows bridge happened, the on-ramp to the highway from Keith Road was closed, all of that traffic was diverted down through Fern Street and it then took away parking on our street,” said McLeod of his old stomping ground. Fern Street’s highway entrance is now a bustling thoroughfare of the District and the cause of much commotion. The District of North Vancouver’s 2005 study on Fern Street says that by 2015, the number of cars driving through the area at peak afternoon hours will increase from 2,000 to 3,000 vehicles. 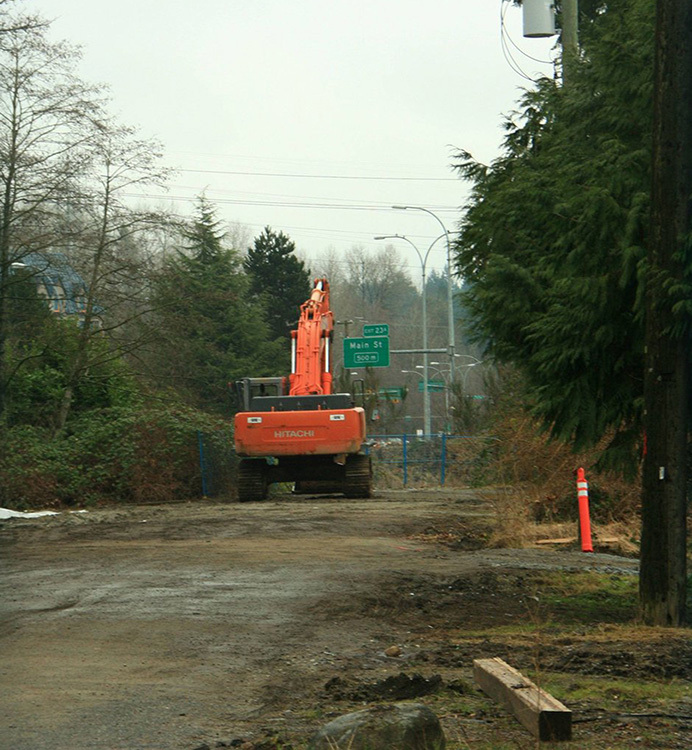 “Relocating that east-west through traffic which currently goes through Fern to the new East Keith Road extension allows Fern Street to become a local street,” said Jennifer Paton, development planning manager with the District of North Vancouver. This hopeful revitalization and calming of the area is a big selling feature of the Seylynn project, despite the on-ramp only moving over one street block. The aging area of Lower Lynn is another issue that has come to light during the development debate. The two-lane Keith Road Bridge over Lynn Creek is a large feature of the Lower Lynn neighbourhood and is across the street from the Seylynn site. At about 50 years old, this busy bridge needs replacing and design is underway according to the District. “The bridge needed to be widened,” Lisa Muri, a senior municipal councillor said. “Conceptual design for the bridge replacement is actually currently underway … the hope, subject to financing, is that replacement would be 2015,” fellow planner Paton said. North Vancouver suffers the unusual problem of having plenty of places available to rent, but they’re the wrong kind. These target areas, or nodes as the municipality calls them, are areas where high-density developments are encouraged to bring the cost of delivering services down. “This project is considered to help fulfill that variety,” said Hartford. Many young residents move out of the District and into other municipalities as the high proportion of single-family homes makes it harder to find affordable housing. “[Seylynn is] going to draw a lot more younger people,” said McLeod. Currently the Lower Lynn neighbourhood and surrounding areas have mediocre transit service and many amenities are meeting the current demand but would not be able to provide for all the new residents the Seylynn project could bring. “The bus service is completely inadequate for the existing residents… So the theory is let’s build development then hope to get infrastructure,” said Muri. McLeod believes that the lack of services can be easily explained. “Well it’s really economics – they’re getting a lot more buses and so on down south of the Fraser because they’ve got a lot more people moving in there. The North Shore hasn’t had a population increase for 10 or 15 years so you’re going to get the same old same old,” he said.